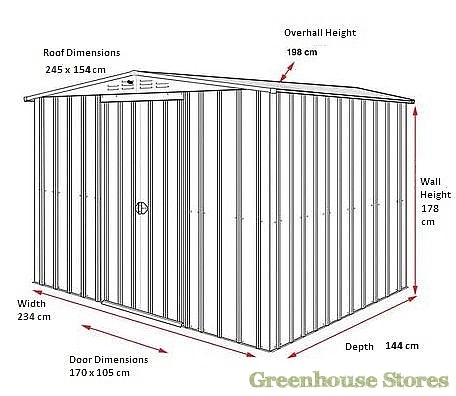 Roof Dimensions: 2450mm x 1540mm. 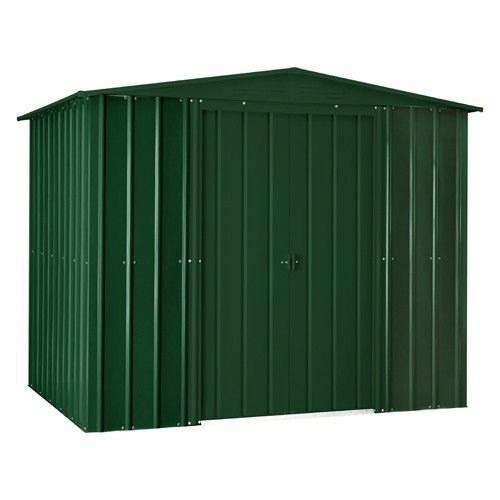 The Lotus 8x5 Apex Metal Shed in Heritage Green is a roomy storage shed that will require no maintenance at all. 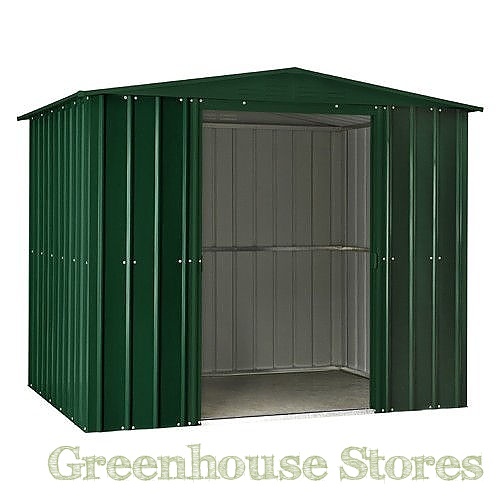 It’s wide double doors make getting in and out with garden bits and bobs simple. 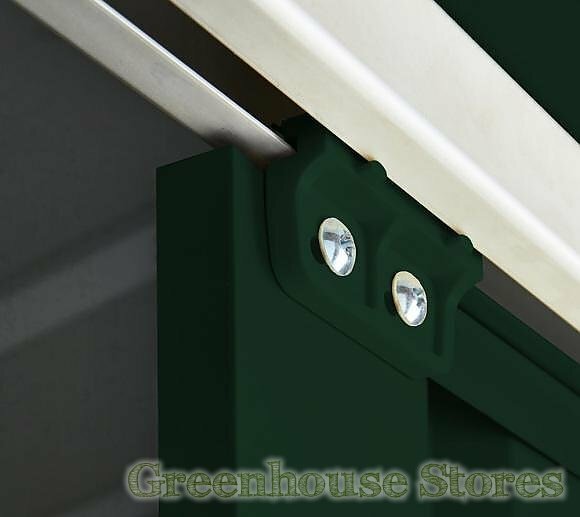 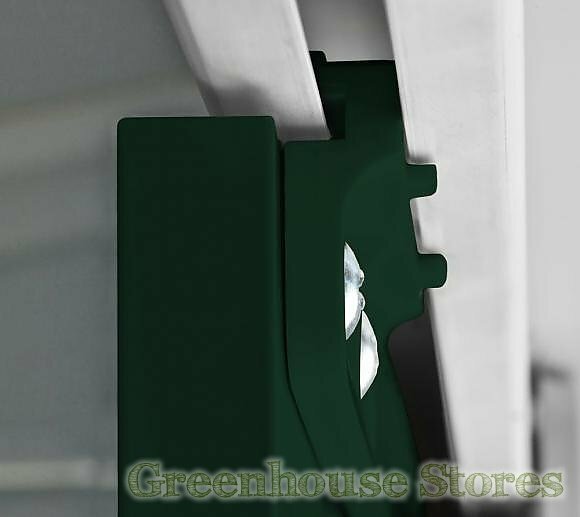 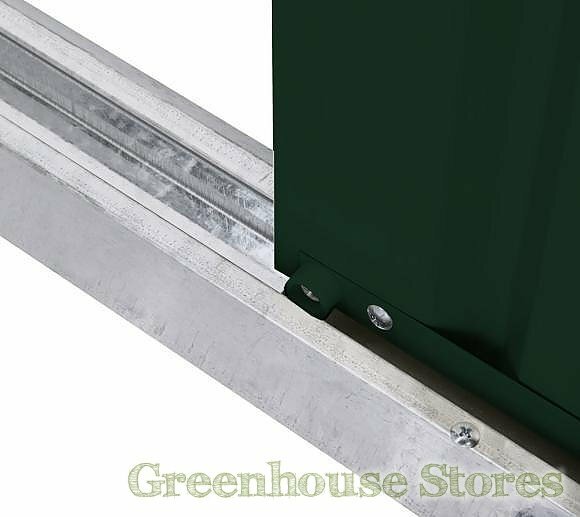 The Heritage Green Lotus 8 x 5 shed is constructed from a galvanised steel framework and clad with .3mm hot dipped steel in an attractive green colour.